Got this along with a transaction on a Walker recently. Anyone else collect these? I've probably got a half dozen or more. Wax, huh? I reckon you got yours from the same source as me, Whip! Yup, I have some of those too. Sold about 4 of them. 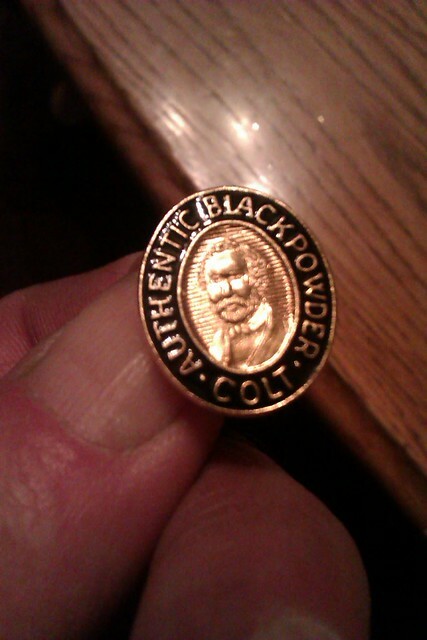 IIRC, every 2nd Gen came with a Colt Black Powder pin. Yes, either the pin came in the box or there was a certificate to mail in to get one. I don't remember which case it was. I don't remember which was the case either. I also have a number of these. Each of my cased 2nd gen Colts has one and I picked up a package of them at a show.